Evan Sharma is a 14-year-old art prodigy from Kingston, Ont., who sells his art for thousands of dollars. His latest piece was painted on top of Tod Mountain in B.C. 's Interior. 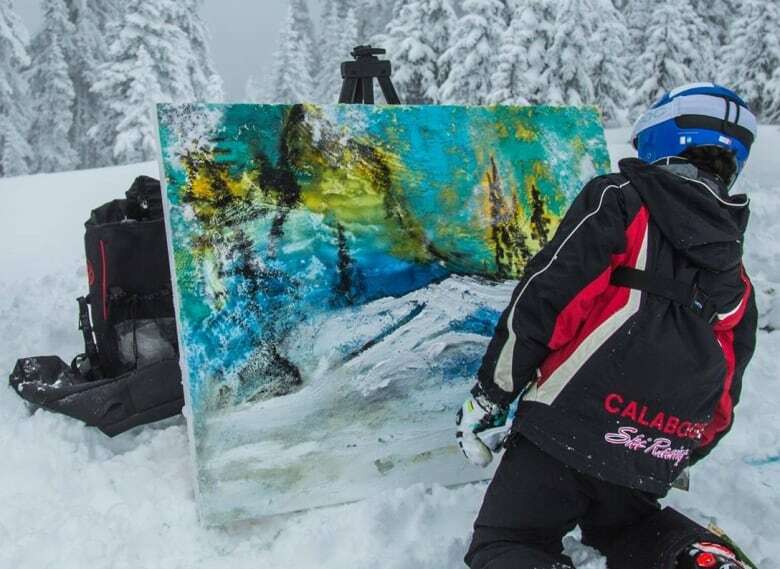 Evan Sharma, 14, was attending a ski camp at Sun Peaks on Dec. 1 when he decided he needed to paint the scenery around him. "I was thinking of some ideas for a mountain painting, and I thought to myself, 'whoa, it would be really cool if I could actually paint this on a mountain.'" Sharma got in touch with the staff at Sun Peaks, and the next thing he knew, they had loaded him and his art supplies onto side-by-sides and hauled him over 2,000 metres into the sky to the top of Tod Mountain. A few hours later, Sharma had another masterpiece to add to his collection. "I just really wanted to take some of the energy that I use in my paintings right from the mountain and just be in the moment in the atmosphere and just paint it right from how I saw it," Sharma said. "Didn't realize that paint freezes that quickly," he said on Twitter. Sharma packed up the piece, with lots of bubble wrap and padding and had it flown back to his home in Kingston, Ont. "It's a very colourful, vibrant interpretation of our mountain environment here at Sun Peaks," said Christina Antoniak, director of marketing and communications with Sun Peaks Resort. "When you see people so compelled to produce that in their artwork, it's a reminder of how lucky we are to have this space as part of our every day." Sharma may be young, but his paintings are known to art buyers all over the globe. Sanjay said his son showed interest in art at an early age. Sanjay and his wife, Sharma's mother, took him to galleries in Paris and New York City, where he was content to stand in front of paintings and take in the art. Though neither of Sharma's parents were artists themselves, they encouraged him to explore his own creativity and got him large canvasses to paint on. He now uses acrylic paint to bring scenery and people to life on canvas. Buyers are purchasing Sharma's paintings for up to $20,000. Sanjay said there's even a wait-list of people who want to buy any future paintings Sharma creates. "He seems to be able to handle it without batting an eyelash," Sanjay said. Sharma's latest project is a series of paintings featuring prominent Canadians, like Terry Fox and Gord Downie. He said he wants to commemorate "great Canadian moments" in his art. Aside from painting on canvas, Sharma is adding his creative flair to footwear. Sanjay said he and Sharma are heading to New York City later in December to launch a new sneaker line, with his artwork printed on the shoes. Courtney Dickson is a journalist working in Kamloops, B.C. 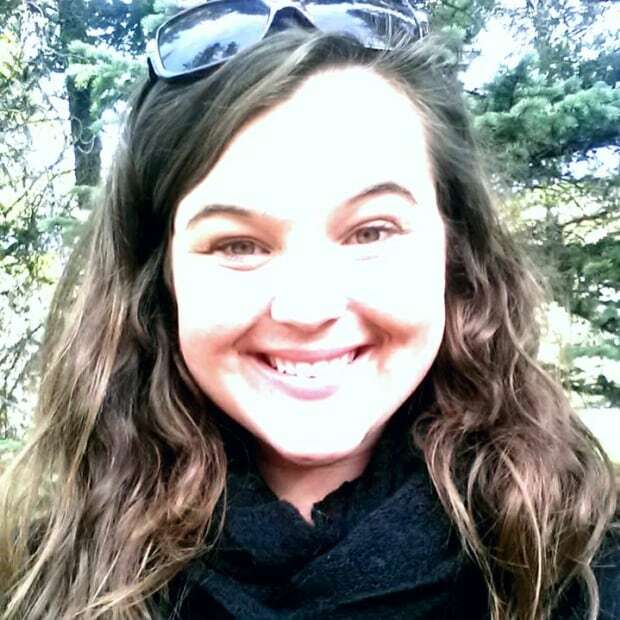 Email her at courtney.dickson@cbc.ca with story tips.